Join us from 10 am to 2 pm. 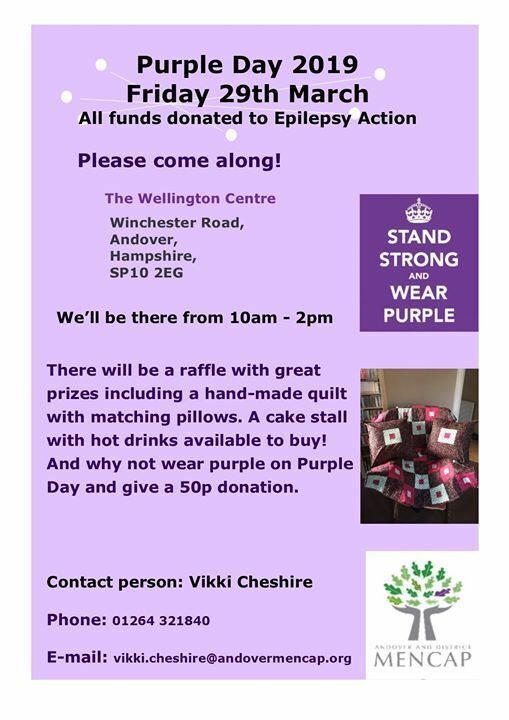 We will have tea and cake and a wonderful handmade quilt raffle including other prizes. 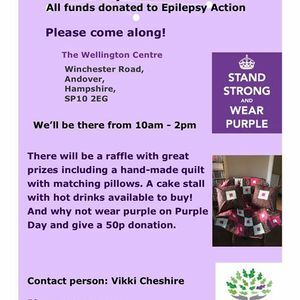 You can also come and talk about how your life is affected by Epilepsy. Vikki Cheshire, who helps Andover and District Mencap with their epilepsy training, is happy to talk to you about your challenges and joys. Vikki had her first epileptic seizure at 11 years old and now is 6-year national dressage champion with the RDA (Riding for the Disabled Association). She is a fantastic example of living with determination.